Bar's Leaks gets you back on the road. When a leak occurs within your critical engine components, don't replace - repair. Bar's Leaks head gasket repair technology was the industry's first premium solution used to chemically repair blown head gaskets. 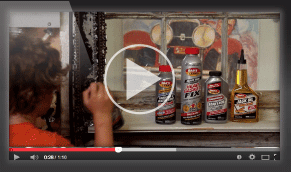 Today, Bar's Leaks is the gold standard in advanced chemical head gasket repair solutions. If you can open a hood and open a bottle, Bar's Leaks is within your "repair range" - you don't have to be an expert. Our products have been making "three minute mechanics" out of people for over 65 years, for all types of vehicles, all types of leaks. Bar's Leaks engineers specially-formulated products that seal the problem from within, so you can get back to your life. Bar's Leaks - The fastest, safest way to get the show back on the road. Guaranteed. Bar's Leaks has deep history of helpinggeneration after generation take care of theircars themselves. That's the kind of knowledgeyou want to pass on. Explore our wide variety oftrusted Bar's Leaks solutions at Pep Boys.